GM has been trying with all its might to position its Buick brand as something that is appealing to people under the age of 70. From its “that’s a Buick? !” ads that claim Buick has changed so much its unrecognizable, to its product. Not to sound too much like Buick’s marketing department, but did you know you can get a Buick with 20-inch wheels, a six speed manual transmission, all-wheel drive and 260 horsepower? In fact, if you examine all of the models in the Buick lineup, most have changed significantly from your grandpa’s Buick. Yes, I know saying the words ‘grampa’ and ‘Buick’ in the same sentence is entirely cliche, but I had to make up for the freebee I just gave to Buick’s marketing department above. Regardless, Buick’s intentions are clear and there’s nothing wrong with wanting to grab new portions of the market, but what about customers who have been loyal to the brand for decades? 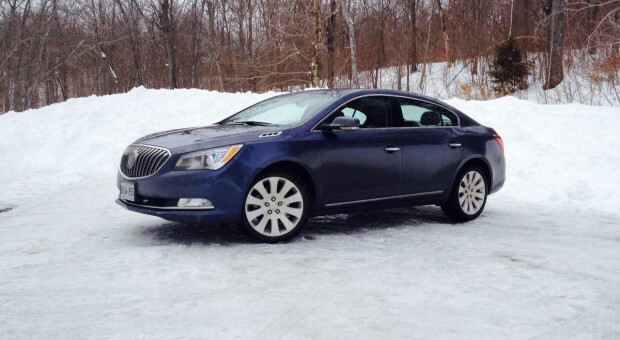 20-inch wheels would likely be a turn off for Buick’s more seasoned loyalists. 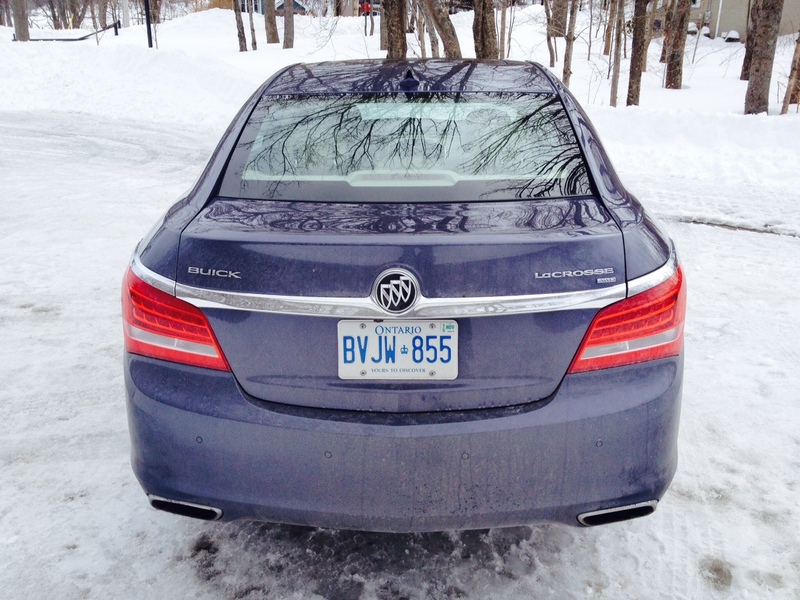 Well, the LaCrosse has been Buick’s flagship sedan for some time now and has recently gone through a mid-cycle refresh. Does it have what it takes to entice buyers into the brand all while keeping veteran customers happy? As mentioned, the LaCrosse has recently been updated to include LED daytime running lights, a reworked grille and revised tail lights. The look is certainly handsome and elegant from certain angles while other angles reveal a rather bulbous side. There are large wheels but they are rather tame in design and there isn’t mass amounts of chrome but enough to let people know that this is not a 20 thousand dollar vehicle. The look works well in keeping both older and younger generations happy. 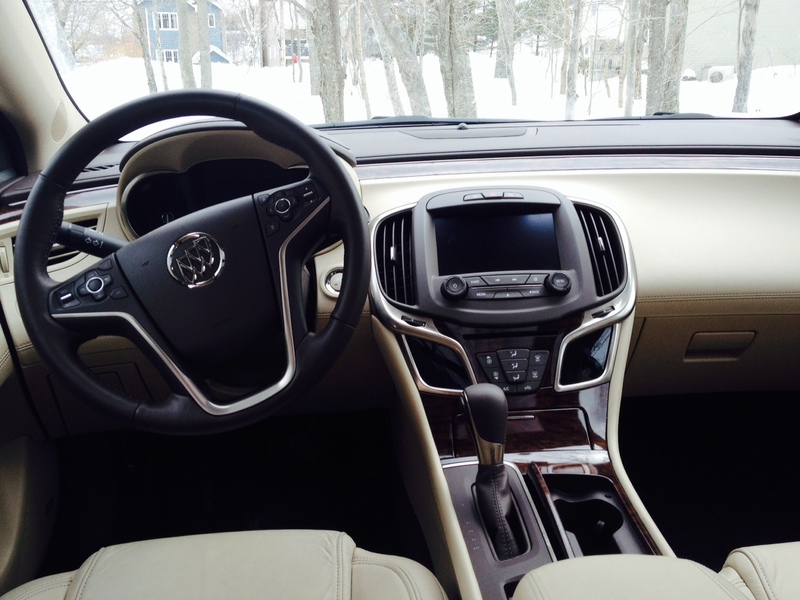 Inside, you’ll find a typical Buick layout that, while nicely laid out, already feels a bit dated. Interiors from Lexus, and other Buick competitors feel more fresh with more intuitive and tech laden cabins. That’s not necessarily a bad thing since I know my grandfather would have been perplexed by the complexities of modern day touch screens, but the younger generation may prefer a bit more of a futuristic look. One of the best features continues to be the heated steering wheel which, on more than one occasion, saved my hands from their glove forgetting owner. I’m happy to say that, unlike the Chevrolet Malibu we tested recently, GM’s MyLink infotainment unit was fairly glitch-free. 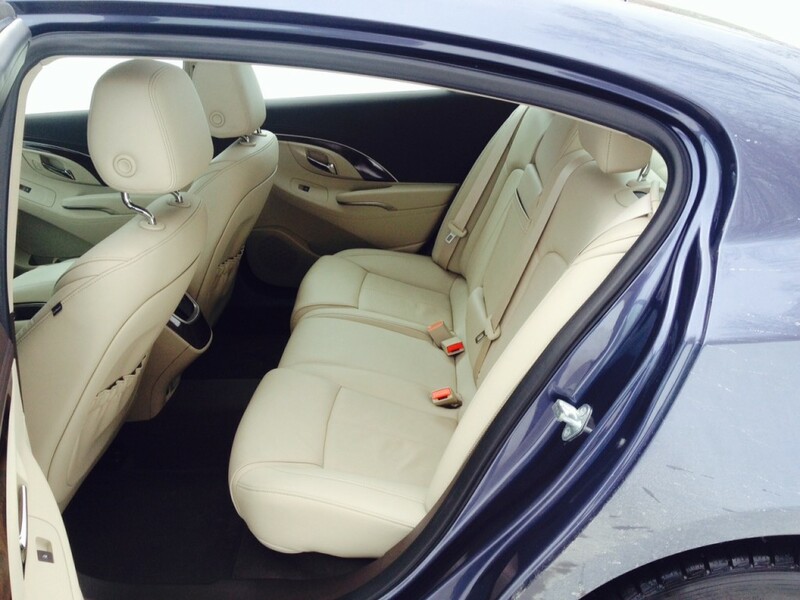 As with all big Buicks of the past, interior room is never an issue, especially if you are sitting in the rear seats where the cavernous feel is particularly noticeable. All the seats are cushy and comfortable. However an unexpected surprise was unfortunately the size of the trunk. No matter what age you are, you know that big American sedans have massive trunks. Not so much the case in the LaCrosse. While it certainly isn’t small, it’s 13.3 cubic feet of cargo room is a disappointment for the class. 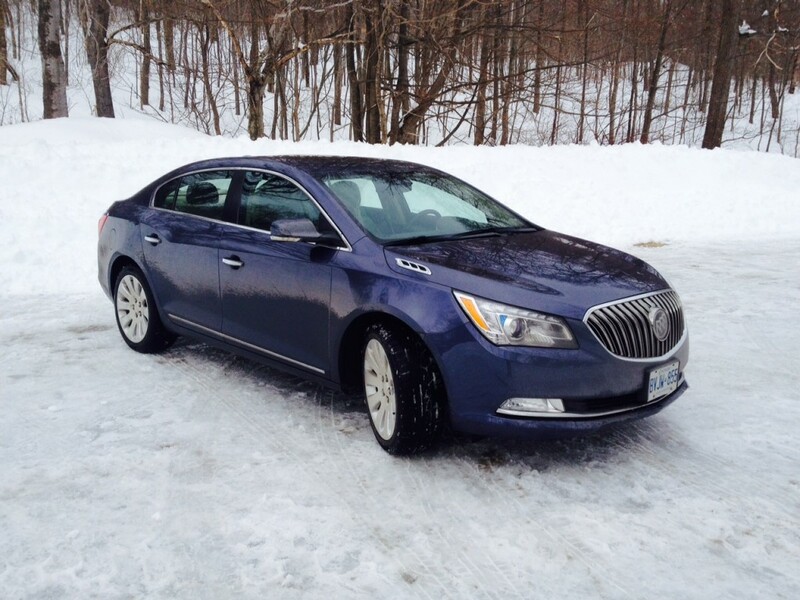 The LaCrosse gets 3.6 litre V6 which develops 304 horsepower and 264 pound feet of torque. The end result is a decently powerful car that has good pick up when you want it to. The problem is, getting it to do so can sometimes be difficult. Since the LaCrosse is a far cry from any sports sedan, its forte is predictably comfort focused and there’s nothing necessarily wrong with that. But as such, the transmission, while smooth in its delivery, is also set up for luxury and comfort. That equals a transmission that is in no hurry to shift and when it does, it takes its time in doing so. For normal driving the experience is supreme smoothness, but when passing a vehicle or hustling onto the highway, the LaCrosse takes a moment to process what its owner wants it to do. On top of that, the LaCrosse is a bit of a porker, coming in at over 4,100 pounds which is quite noticeable no matter what kind of driving you’re doing. Since the LaCrosse focusses much of its attention to comfort, the ride is sublime and quiet, however there is the odd hint of road noise which can enter the cabin. 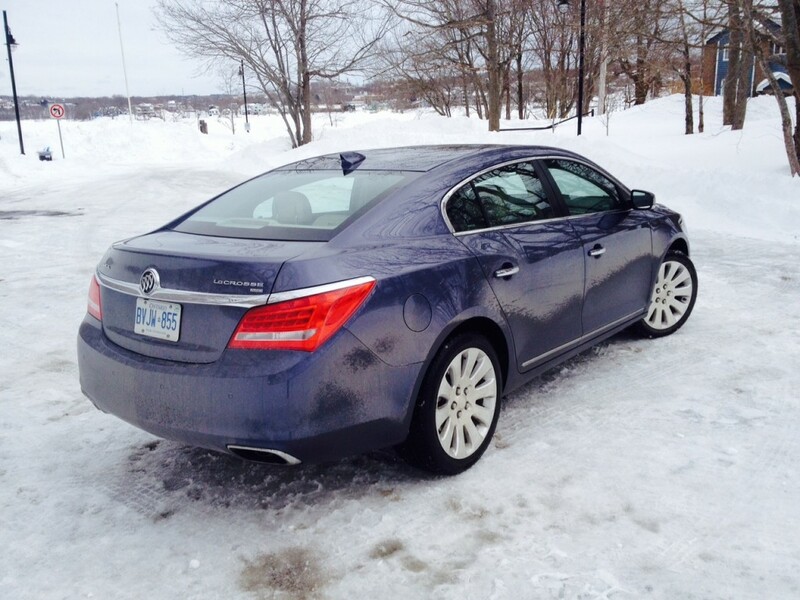 In fairness, this could have been the winter tires that was fitted to the LaCrosse. But bumps and imperfections in the road are barely felt. Steering feel is predictably light, but not as light as you may think. There is a hint of sharpness to the steering, but overall its still nowhere near an enthusiast’s preference. 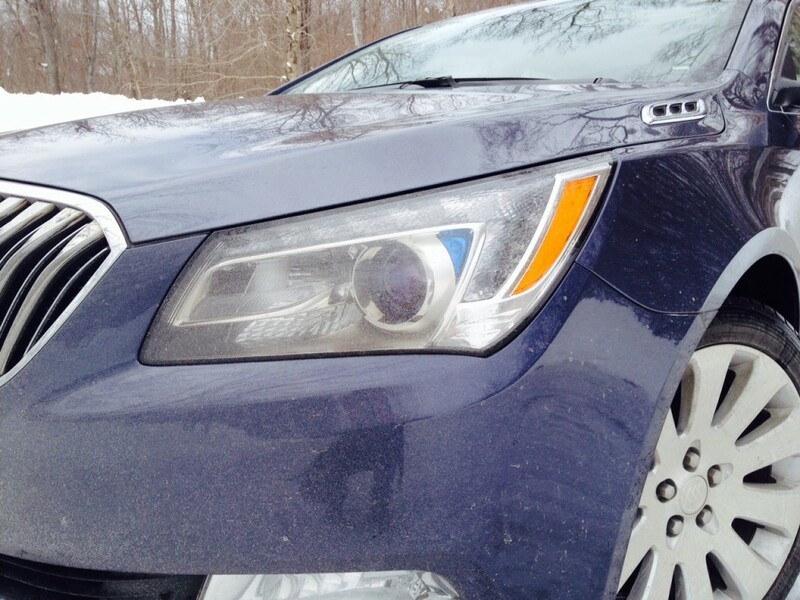 The AWD system, in addition to adding more weight, is not set up for enthusiasts either as it stays in the woodworks until its absolutely needed. 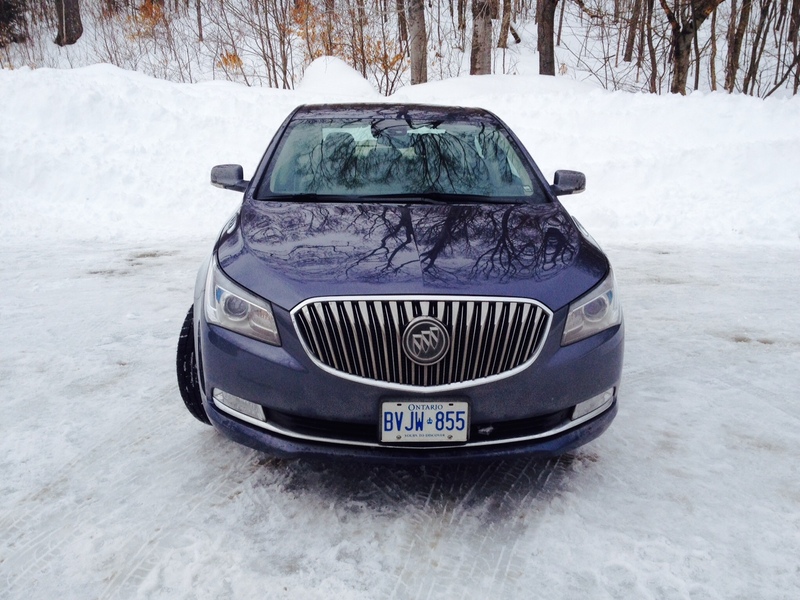 Until then, the LaCrosse remains a heavy front-wheel drive barge. However, on twisty roads its not nearly as dreadful as you might think and that could largely be due to the laid-back nature it presents as soon as you get in. In other words, the low expectations could be responsible for what seems like composed handling abilities. Officially rated at 13.9 L/100 kms city and 9.1 L/100 kms highway, the LaCrosse’s forte was never meant to be efficiency, however it did relatively well in real world driving. I returned 12.9 L/100 kms in mixed driving. 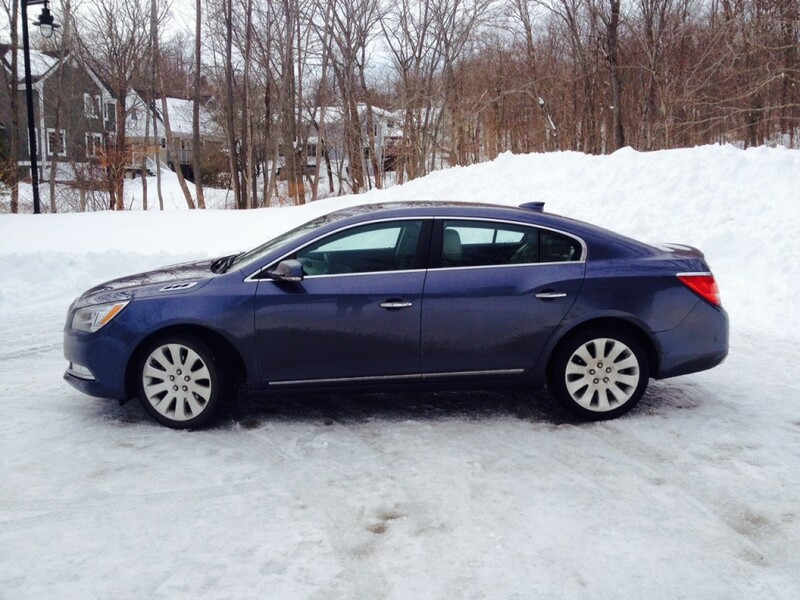 So it’s no Prius, but certainly not terrible for this portly luxury sedan. And that’s really what the LaCrosse is. It’s the Buick that’s still a Buick. It’s for people who ask for everything but jalepenos at Subway. 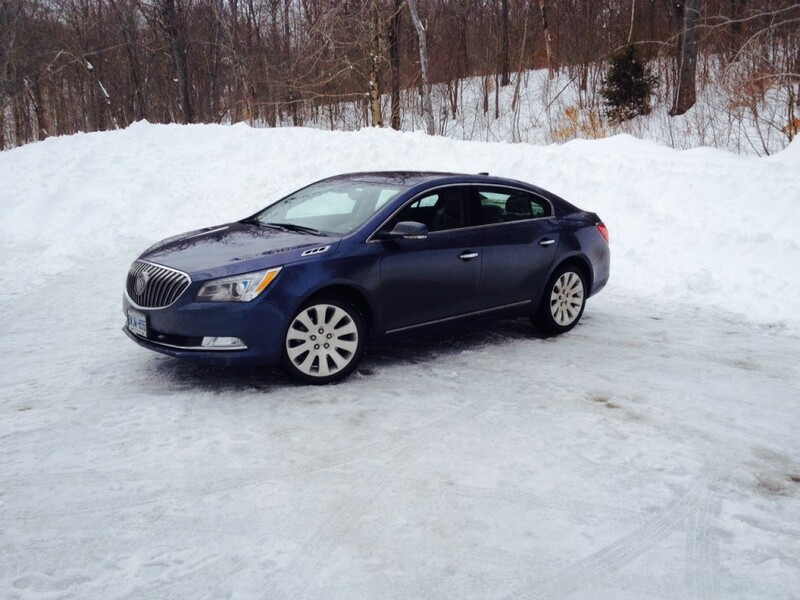 Basically, it does what a traditional Buick does and that is, be a competent luxury sedan. Younger buyers will likely look elsewhere, but the good news is, Buick has done a great job in transforming itself that the younger generation likely won’t leave the dealership when looking elsewhere. They’ll just look at different Buck models.